Xabi Alonso, the 32 year old Spanish international, is leaving Real Madrid after five years in the capital, and joining Bayern Munich on a transfer worth in the area of £5m. The deal makes a lot of sense. 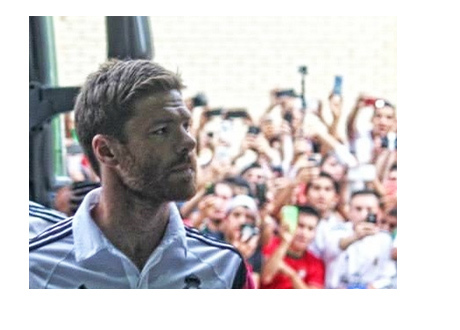 Xabi's spot on the Real Madrid team was pushed back with the arrival of Toni Kroos. In addition, the 24 year old Asier Illarramendi, who is more or less Xabi's direct replacement, will probably be getting regular playing time this season. On the other hand, Bayern Munich lost Javi Martinez long term due to injury and could use the experience of Xabi Alonso in the middle. Xabi Alonso is a Liverpool legend. He spent five years at Anfield and was in a big way responsible for their 2004/05 Champions League title. In 2009, Alonso moved to Real Madrid on a £30m transfer, and is exiting on a high note, after winning the 2013/14 Champions League with the club. Just a few days ago Alonso said adios to the Spanish National team, after eleven years, one World Cup and two European Cup trophies. At Real Madrid, Xabi received €6m per season. At Bayern he will receive €10m. Xabi Alonso is the man.